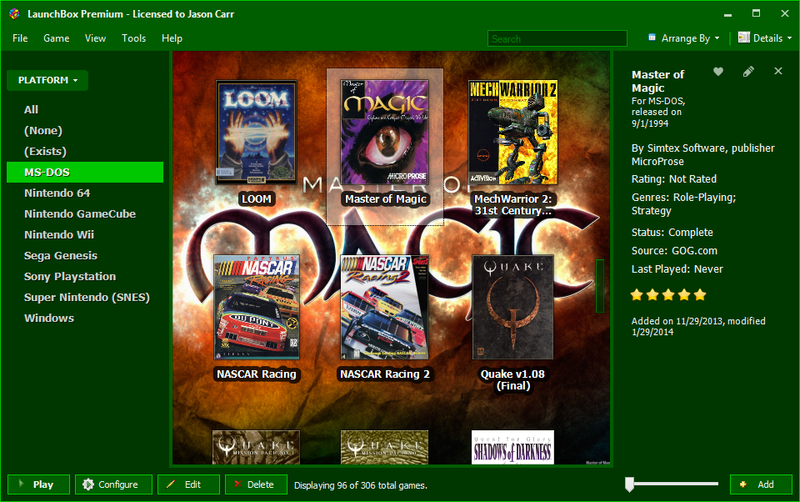 LaunchBox was originally built as an attractive frontend to DOSBox, but has since expanded to support both modern PC games and emulated console platforms. 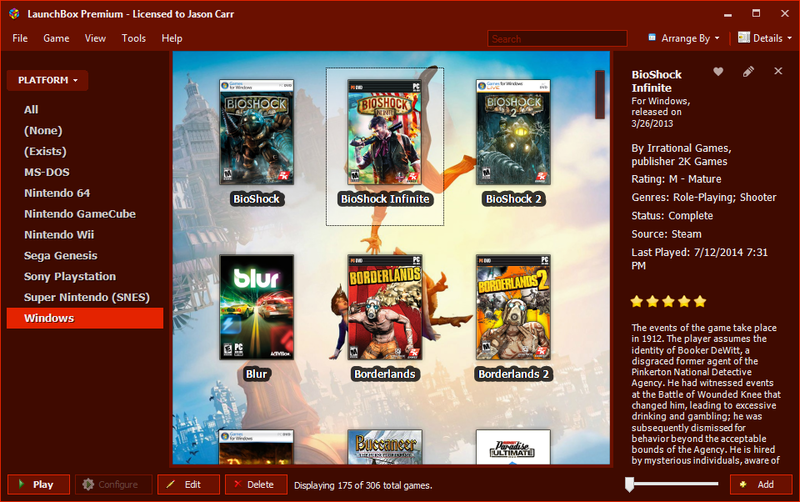 LaunchBox aims to be the one-stop shop for gaming on your computer, for both modern and historical games. 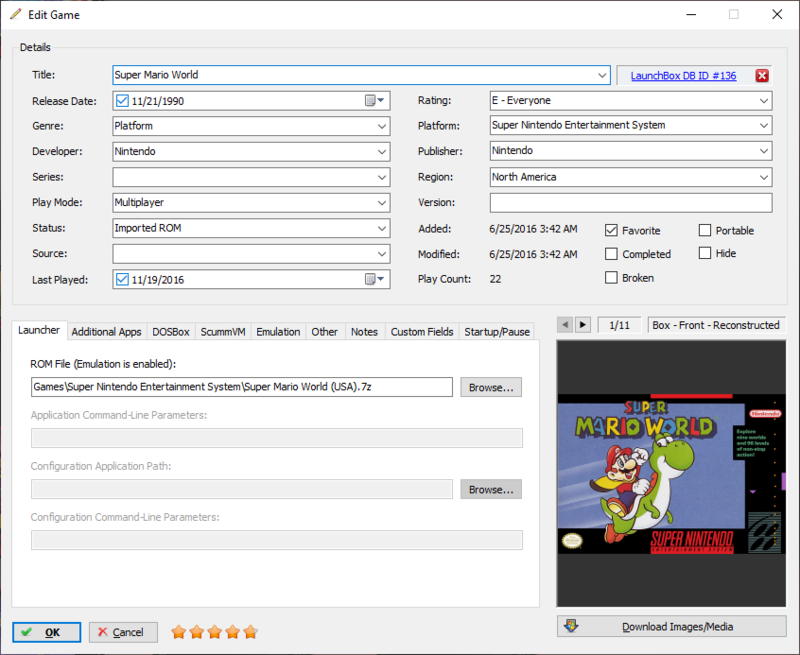 LaunchBox includes automated import processes for your MS-DOS games, ROM files, and Steam in order to help get you up and running as quickly as possible. 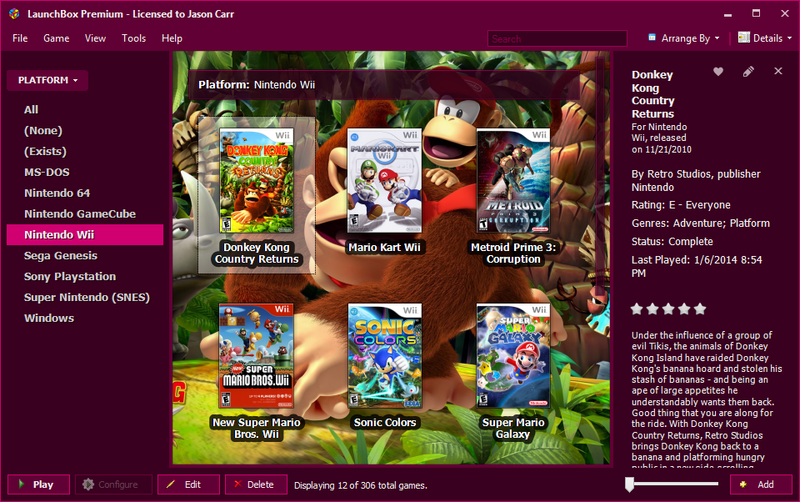 Game box-art and metadata is automatically downloaded from the LaunchBox Games Database, a community-based online database that allows anyone to contribute. Wikipedia can also be used. LaunchBox supports arranging and filtering by genre, platform, ESRB rating, developer, publisher, and much more, and even has custom status and source fields to use to classify your games however you choose. 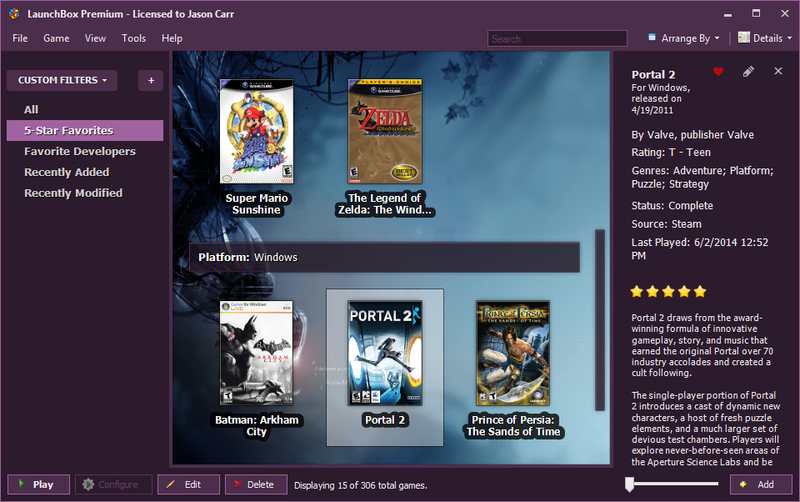 LaunchBox’s interface is incredibly easy to use and powerful all at the same time. Not only does LaunchBox automatically download box art for your games, it also grabs beautiful fanart, screenshots, logos, and more, creating a surprisingly immersive experience. 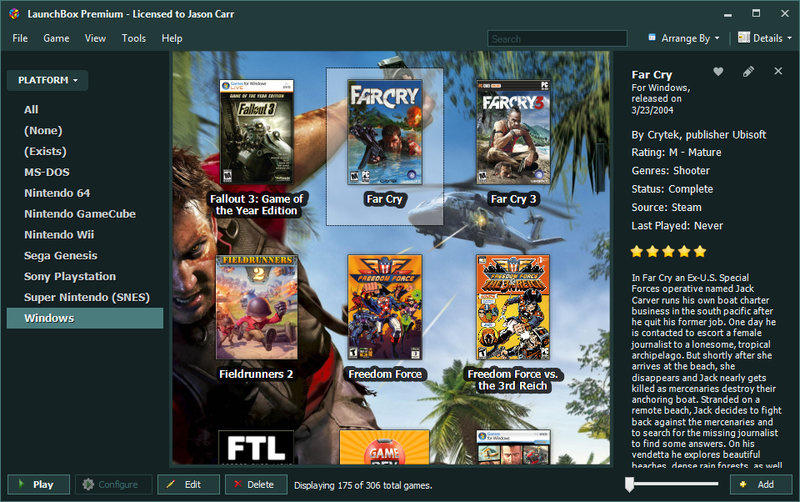 Fanart and other images can be used as LaunchBox’s background as you browse your games, which really helps to create an attractive, fun experience. Download LaunchBox for free right here.